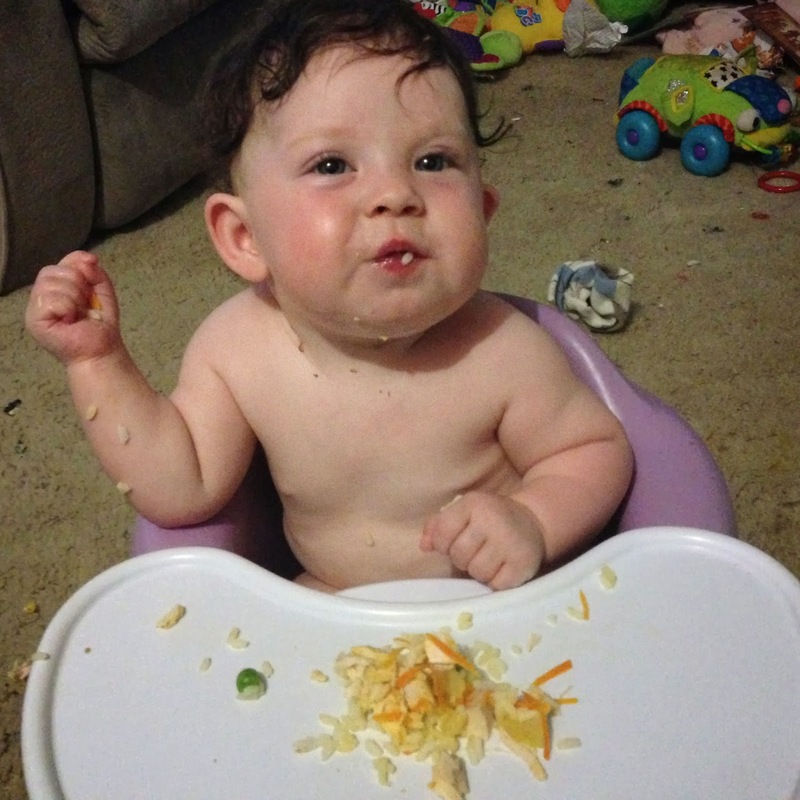 If you follow me on instagram, or the facebook page, you might have heard me mention baby-led weaning. I first heard the term when Natalie was a baby, but as she wasn't a big food eater until well over a year old, I never really looked further in to it. Riley was the same with food, prefering breast feeding to actual food. But Sophie started watching me eating around four months old. And at around five months old, she would reach for food I was holding, but was easily distracted away from it. 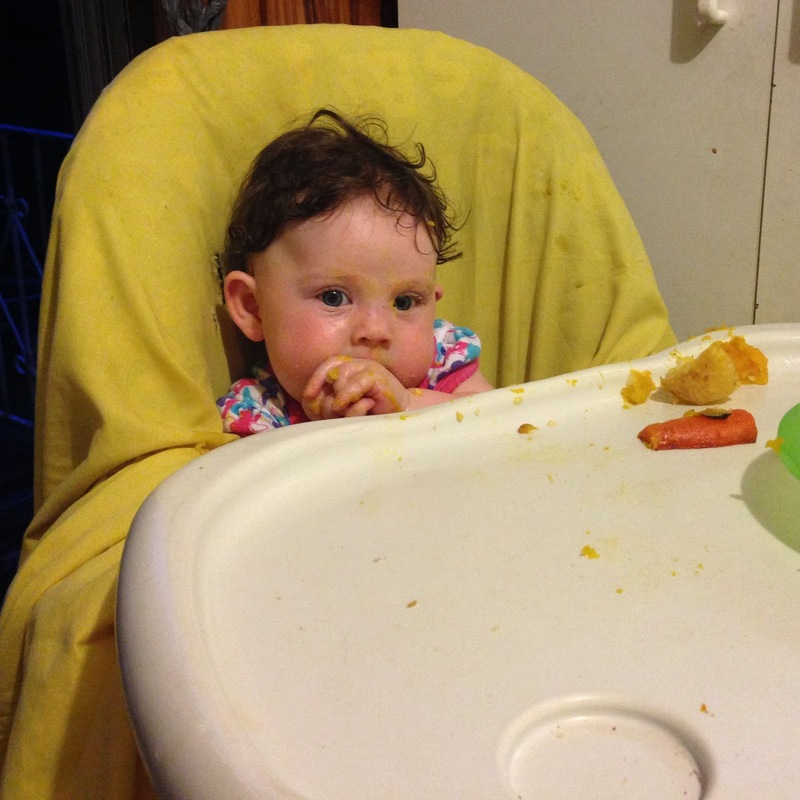 So I decided I needed to look into what baby-led weaning was all about, and whether it would work for us. And the more I read, the more I realised it was exactly how I introduced Chloe to food! I started Sophie with cucumber, and we've worked our way through avocado, steamed carrot, steamed potato, steamed pumpkin, tomato, grapes (sliced in half) and watermelon (favourite). Then we sat down to eat one night, and I realised I had nothing to give her, so I shared some of our mashed potato with her. At this stage of the journey, Sophie isn't eating much of the food, although some things get chewed on more than others. Roast pumpkin has been our hands-down best food. I roast it with the skin on (so it holds its shape) with a bit of garlic on it, and it ends up everywhere, including her mouth! These apple cinnamon breakfast cookies were the start of cooking-for-Sophie, not just handing her food from our plates. And she loved them! We've cooked several more recipes (and bookmarked more) from this website, and even the big kids are loving the food! 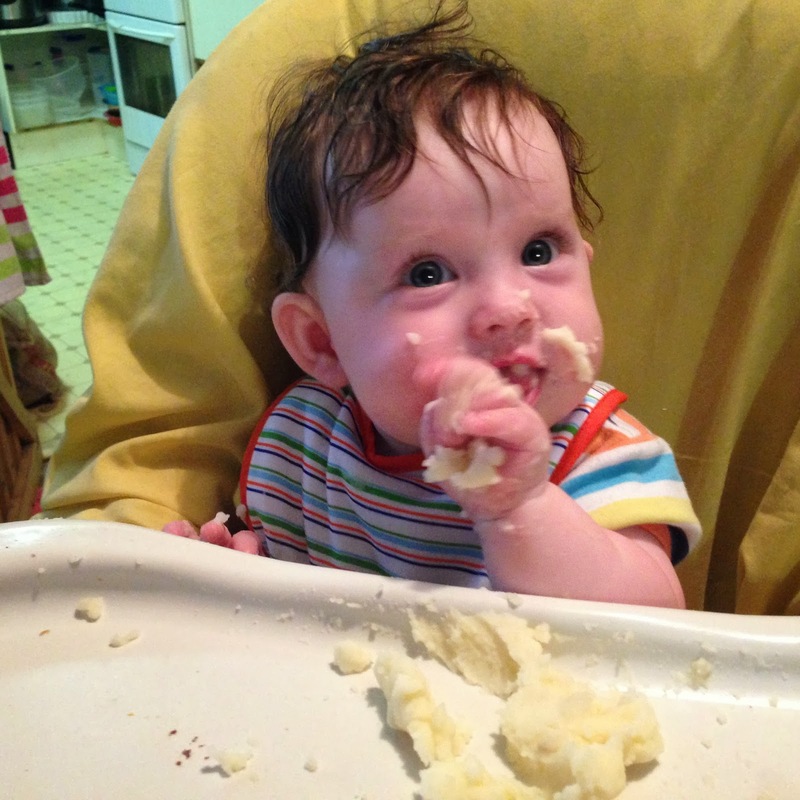 Baby-led weaning was the best decision for us! I have never heard of this term thirty years when when mine were learning to shift from liquid to solid food, but I realise this is exactly what we did - allow them encounters with real food. The number of grapes I peeled for our son! Wishing you and Sophie well with this - she looks as if she is thoroughly enjoying it :).